We were delighted to take the stage earlier this week to deliver the Marketing Plenary at the CASE Europe Annual Conference in Manchester. As well as presenting a 7 minute video slide-show of the next 7 years, all the way up to 2020 (from Hover Trains to Hologram TV), we took a longer, more measured look at the future trends already impacting on the education world. Delegates will be getting the full copy of our 10 themes, but for everyone else we’re sharing the highlights on here. This is Part 2. Part 1, including a 7 minute video of what the world will look like in the future, is available by clicking here. Leadership works at so many levels. We discussed how universities were becoming leaders – with a great example of how PAU in Africa is pushing the boundaries. We explored the rise of the CMO (Chief Marketing Officer): in large commercial organisations we have seen the CMO take a central role in the leadership of companies, often moving up to take on the CEO role. We are seeing a rise of the university CMO in the USA right now, but there is a long way to go in other countries. It will happen though as marketing becomes an increasingly central strategic driver. When we say leadership though, we like to think not of organisations or job roles, we like to think of people. So we shared some inspiring marketing direction from a couple of US university leaders. Harvey Perlman is Chancellor at the University of Nebraska and he engages with his students (and potential students) through his ‘Perls of Wisdom’ video channel. The Huffington Post summed him up simply as ‘he gets it’ and it’s worth looking at their report on him to truly understand the humility and the humour involved. Click here to read more. 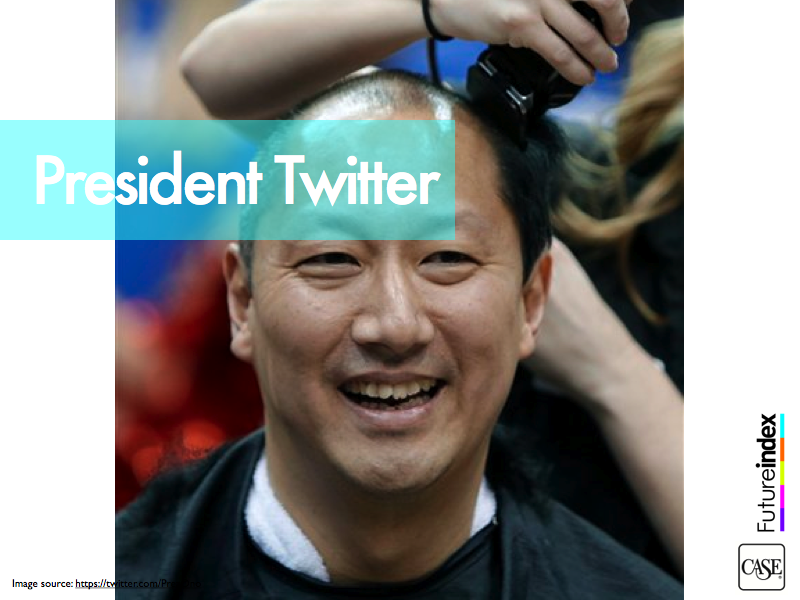 We also looked at President Twitter himself, Santa Ono from the University of Cincinnati, someone leading from the front in the most transparent fashion with 20,000 followers already, many of them students. Clearly social media has opened up new channels for university leaders to reach out through and to help understand the wider marketing context. Essential for Marketers: Leadership doesn’t have to behind closed doors; it can actually be a pillar for a university’s marketing strategy. Everyone is talking about ‘Big Data’. Higher Education can certainly benefit from getting to grips with the story within the terrabytes of data available. However, we suggested that the biggest focus should be on ‘Speed Data’. It’s about using the most important data, quickly and effectively. Think how fast the big retailers respond – Tesco’s Clubcard is certainly one of the best examples of how customer data is collected, analysed and used in seconds, and Tesco has consistently built its marketing strategy on the results. Think how quickly Amazon and i-tunes get to know you and can start recommending you books and music almost straight away. The technology revolution has opened up new opportunities in Higher Education and we discussed the recent data fall-out from MIT’s ground-breaking 6.0002 MOOC. 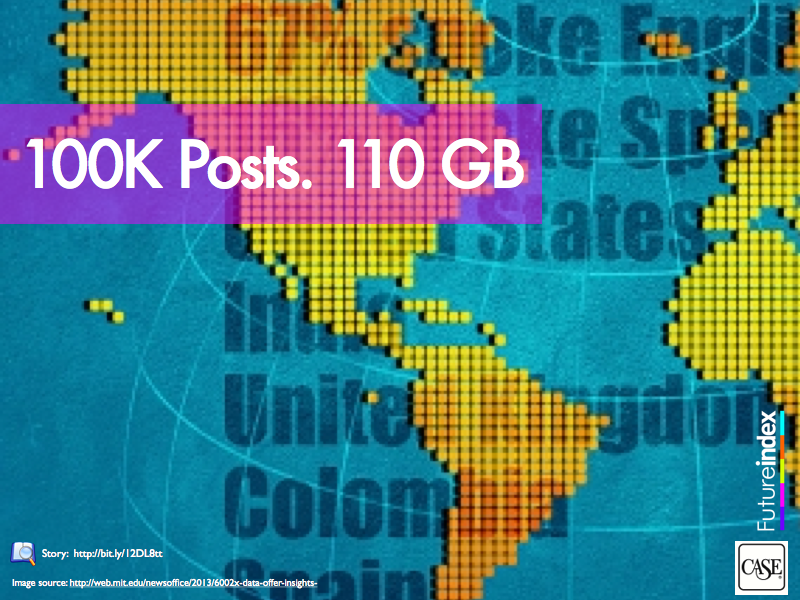 Whilst education marketers and academics have always tried to learn from course feedback and participation numbers, imagine the power of the 230 million interactions, the 1000,000 posts and the 110GB of information that this MOOC gathered: potentially enough to help flex and change future courses immediately, if analysed quickly and usefully. Essential for Marketers: Marketing is all about meeting and responding to the demands and there are new opportunities out there to capture market intelligence accordingly. We had a quick look at some of the emerging funding trends. We started with the rise of performance-related funding, on the increase in many countries and influencing strategies in research output, widening participation, employability and enterprise. We examined examples of how higher education institutions are encouraging new investment from venture capitalists and private investors by showcasing footholds into new opportunities that are opening up. Some universities are arguably using their MOOC development as a short-term ‘loss leader’ for more funding, whilst hoping it will become the longer term ‘cash-cow’ that many hope for. A method of income generation that is clearly on the rise, and is clearly a sign of the times, is crowd-funding. This is where investors collectively pool their money, often via the Internet, to achieve a clear goal. We are now seeing examples out there of research programmes being funded via local communities on social networks. 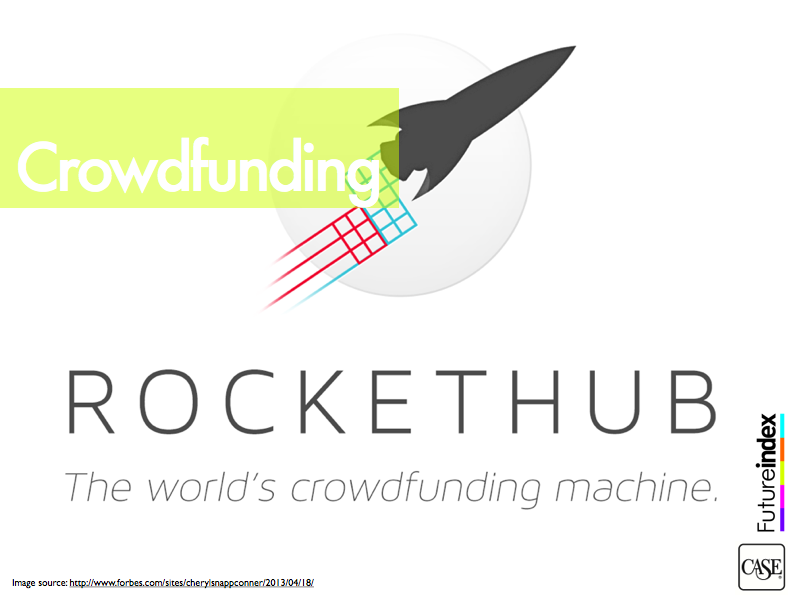 Rockethub is a good example of how a ‘crowd-funding machine’ is now partnering with higher education institutions – the University of Utah’s Tech-Vault to attract donations for university technology is worth a look at. Essential for Marketers: A good grasp of the new funding trends and opportunities is important for anyone involved in marketing strategy and may open up ideas for new initiatives. Higher Education institutions are used to communicating with potential students at an earlier age. There has been a wide recognition of the importance of bringing the brand experience forward – by taking guest lectures into local schools, by employing student ambassadors to talk to target audiences, by hosting major Open Days, and, of course, by embracing the world of social media as an authentic window into an institution. We shared examples of how institutions would develop this targeted approach, including how the University of Brighton were using hackshops to reach out to young programmers, and how the University of Montana had sponsored an Everest expedition and then streamed learning materials from it into schools. The emphasis will increasingly be on building the brand for a younger age-group and on bringing the brand experience to life. The importance of this is highlighted by what Samsung are doing in South Korea right now. 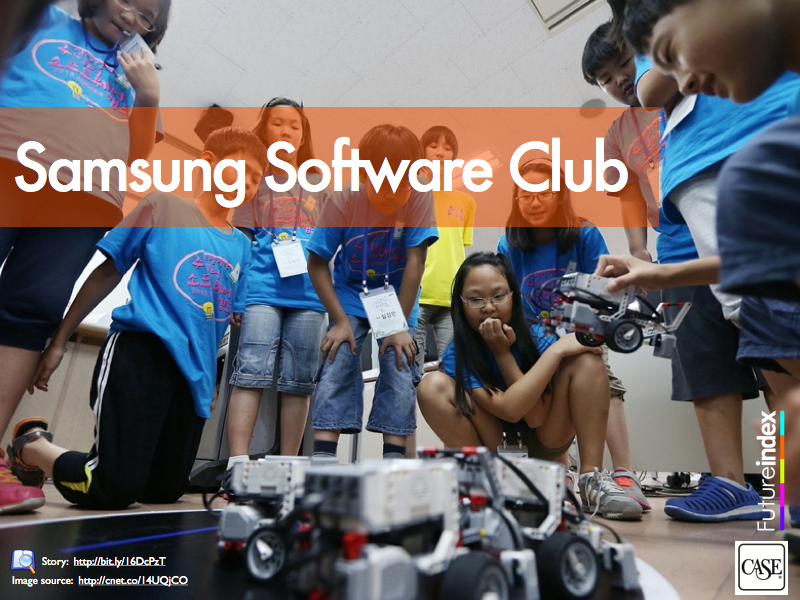 By running after-school ‘Software Clubs’, Samsung are tapping into a whole new generation of talent. Samsung aren’t alone in this of course. There are clear reminders out there that if universities don’t engage earlier with the younger audience, then others will. Essential for Marketers: As competition hots up, more and more institutions will be looking at getting a vital head-start in capturing the hearts and minds of potential students. Marketers must be at the forefront of this. Start-ups are now a major feature of the world we live in. Even companies that aren’t start-ups are increasingly embracing the spirit of one. If you want to work for Google you need the entrepreneurial drive of a new business owner; if you want to lead GSK in the future you should embrace creativity and social technology as much as pharmaceuticals; and if you want to make a big difference working in local government you need to inject some start-up style energy. A good example of the new landscape is Telefonica and how they use Wayra, a network of tech start-up accelerators across the world, to deliver the R&D and the innovation of the future. In every major city we are seeing new clusters, new collaborations and the birth of a whole new entrepreneurial spirit. Higher Education must continue to respond. The skills required to run start-ups must be encouraged, as must a culture of enterprise. Whilst there will continue to be a place for highly sought after graduate schemes, the jobs of the future will largely belong to SMEs and start-ups and, as Telefonica have shown, even the larger companies are now looking for a different type of graduate. So, we finished our look at the future with the prediction that the spirit of the start-up will increasingly feature in the higher education curriculum. 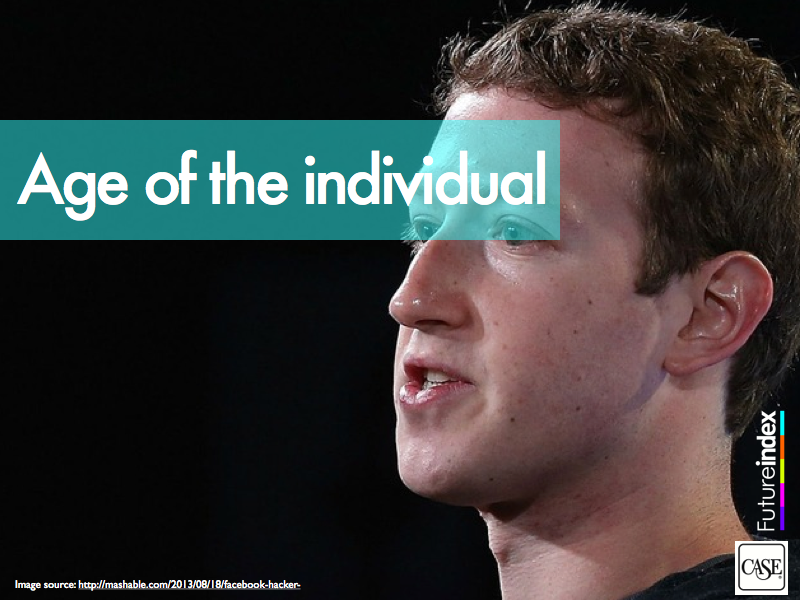 We should recognise the importance of Mark Zuckerburg as an inspiration to our new generation – a reminder that anyone can start their own business, even whilst still at university, and make a huge success of it. Essential for Marketers: The start-up spirit is already alive in courses within established universities but its also a major feature of a whole range of new competitors. Marketers must be aware of both the threat and opportunity this provides. Our 2020 Education focus was built upon sharing 50 images of the future in just 25 minutes. We’ve just shared another 5 with you. You can click here to see another 5 in part 1, including a look at new trends in institution type, course, technology and internationalisation – and what these all mean to education marketers.